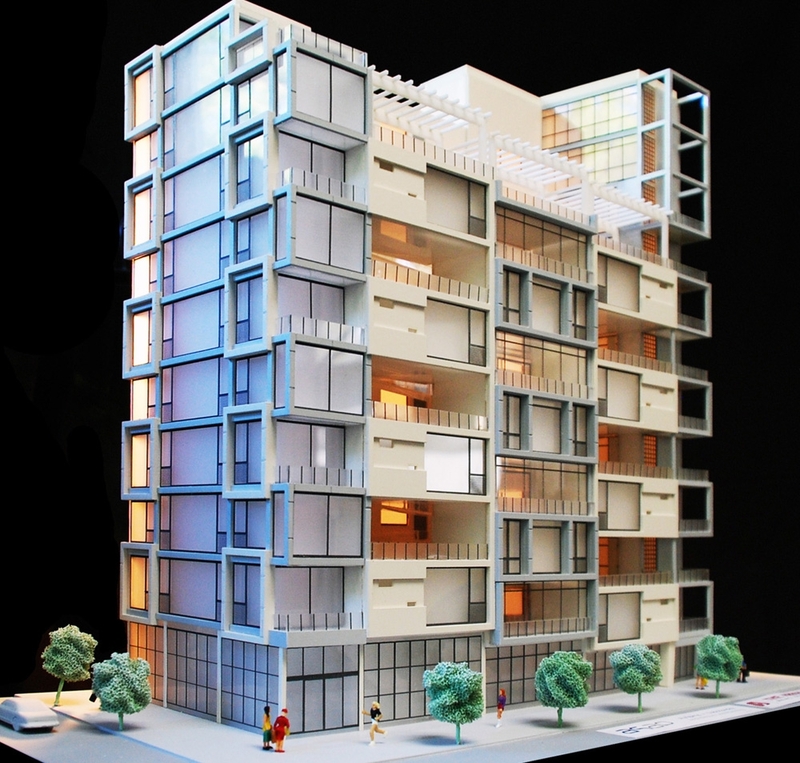 How can architectural design stimulate and support a true community of neighbors inside an apartment building? This question has never been more important than in our evaluation of the Micro Unit concept. The simple reason is that if our tenants have very limited space inside their unit there is an unfilled need for an expanse of rooms and spaces that can be used by the building neighborhood at large. 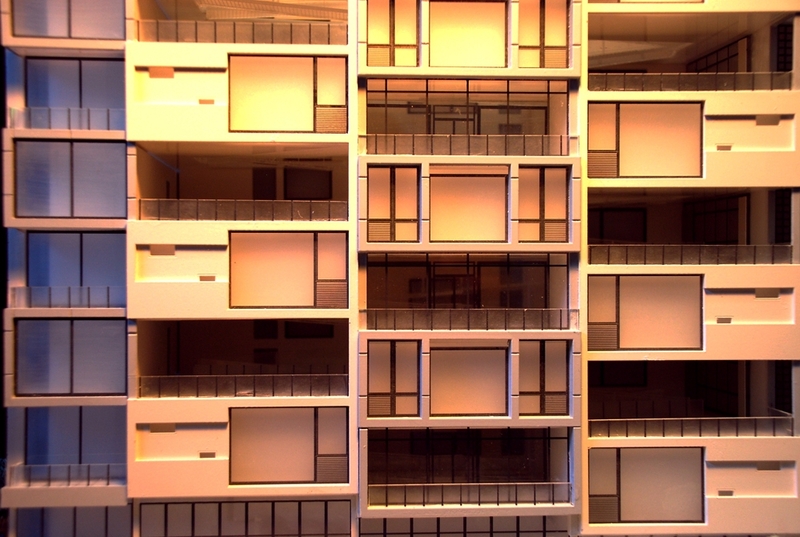 Interactions with ones neighbors in a typical apartment building can be few and far between. Even when these interactions do occur, rarely do they result in new relationships. This phenomenon is relatively new and is partially a byproduct of the vertical circulation systems that have allowed our contemporary buildings to grow vertically. Since the mid to late 19th century, elevators have moved towards replacing central open stairs in apartment buildings and tenements; central open stairs were social places where friendly interaction and serendipitous meetings could occur. Later, fire & building codes ensured that no-one wanted to walk the stairs by requiring them to be enclosed - enclosed fire stairs quickly became a place-to-be-avoided and a security concern. We are proposing an entirely new concept in mid-rise housing that revolves around a return to the building as a neighborhood. 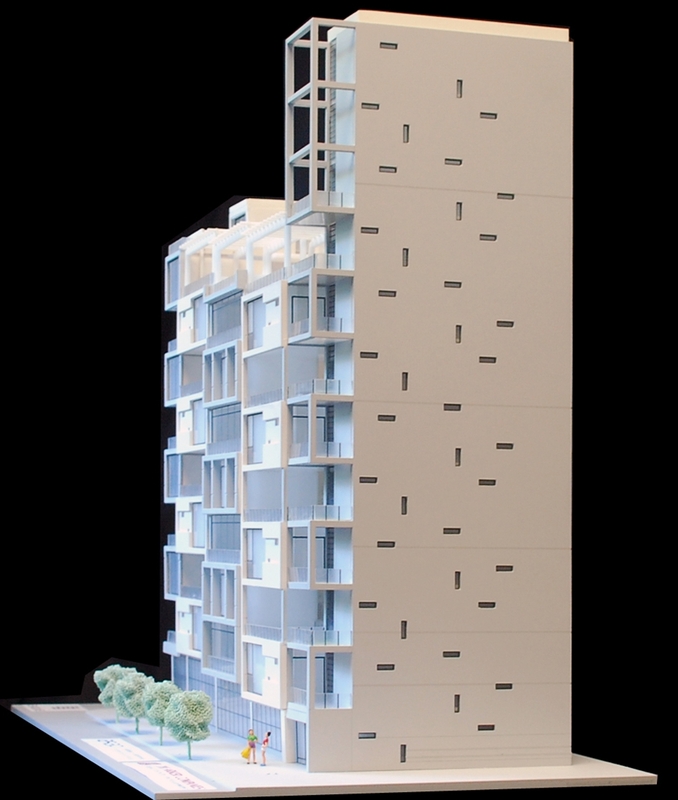 Our proposal is a vertical neighborhood of Micro Units that are laid out with a multitude of different interspersed public spaces, which are a combination of indoor rooms and open air terraces that are inviting and highly functional. 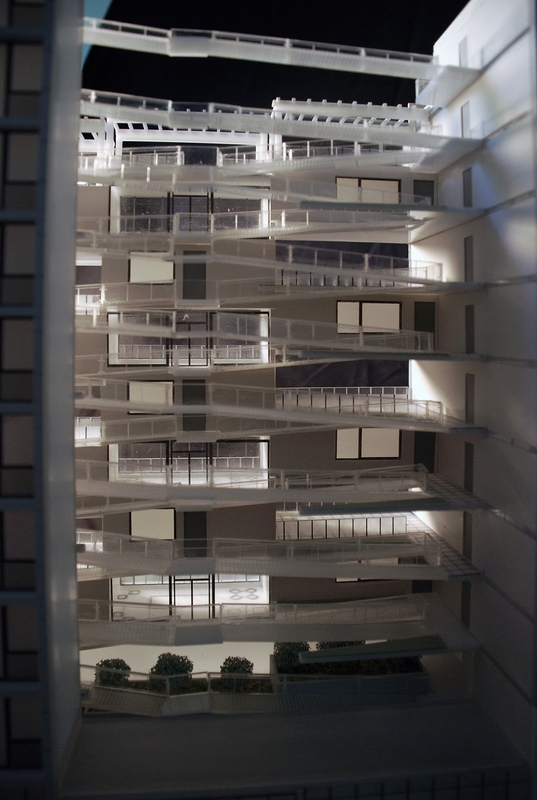 Additionally, our circulation system is enhanced by an open inner courtyard whose diameter is circled by a continuous ramp that rises from the basement to the upper most floor of our project. While acting in addition to a traditional stair and elevator, we anticipate this ramp as being the preferred means of moving about the building, especially when going from ones unit to either a neighbors unit or one of the many public spaces. The entire length of the ramp would be about a five minute walk down from the top floor to the street, or possibly a little longer to go up, helping to promote healthy living as well as a highly social neighborhood Some of our Micro Units face this courtyard with legally required windows, in addition to facing the open area on the NYCHA property to our north. 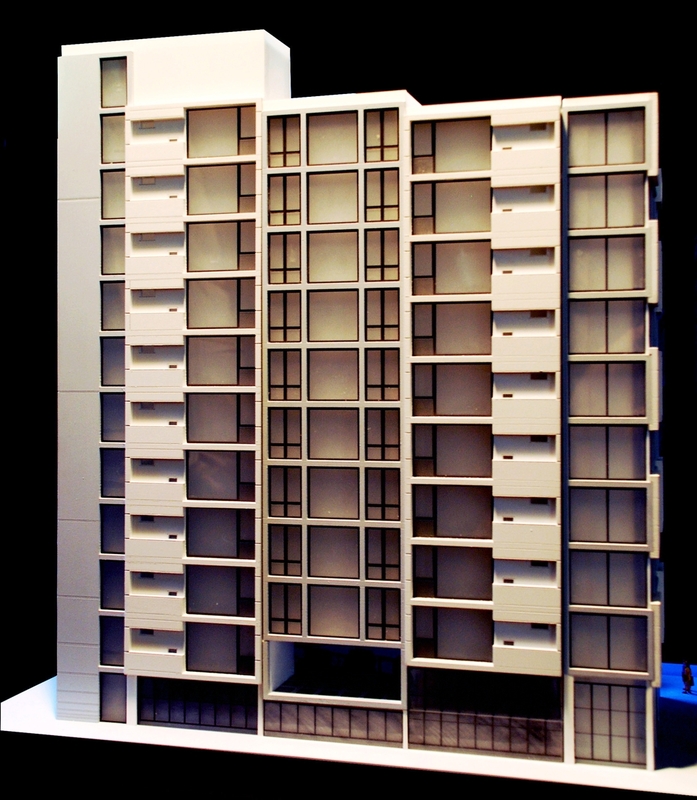 This was the impetus for our very transparent south facing façade that, in addition to the open air courtyard, will allow for ample natural light and air to reach these units. The inner workings of this building will be infiltrated by natural light and air all day and thru all seasons - but in varying degrees. This will add interest to the experience of traveling the ramp through the vertical neighborhood, much like street trees and shade from buildings adds interest to walking down a traditional city block. 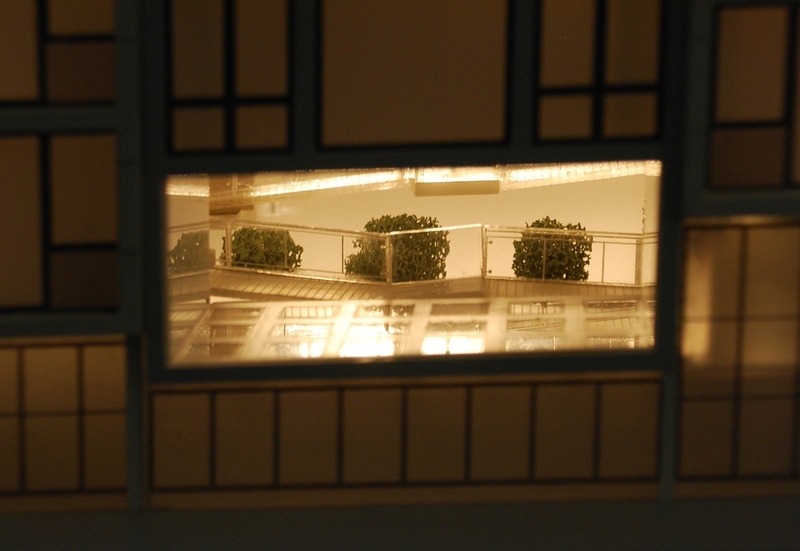 We see the courtyard as a green space that will be surrounded at all levels by planting beds. The beds can be used as community gardens where tenants can reserve and maintain them, or they can be managed as ornamental gardens by the management of the building or with the assistance of our service partner, Cornell University Cooperative Extension. We submit for your evaluation the concept that these Micro Units are not small apartments in a building, but instead are private rooms in a neighborhood. 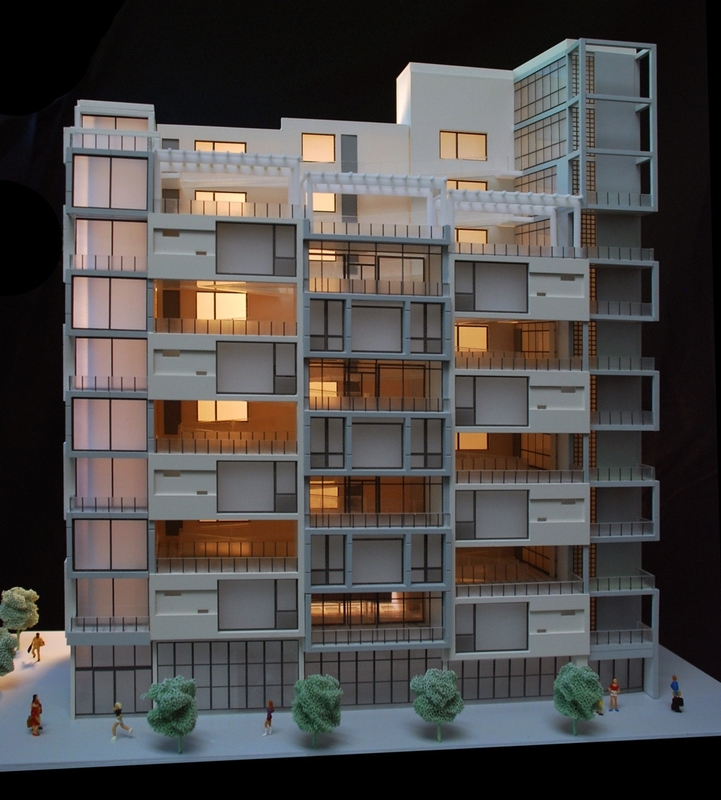 With the multitude of design elements outlined above, our design doesnt isolate tenants in a box but instead incorporates them in the neighborhood that is our vertical community and, with the many layers of transparency and open outdoor spaces, visually and physically connects them to the street life below.